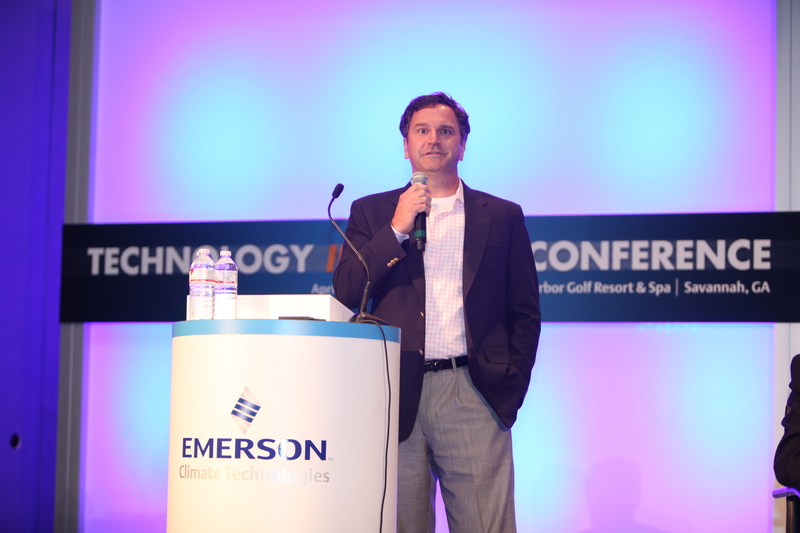 This is the sixth and final in a series of posts on key presentations from Emerson’s 2013 Technology in Action Conference. Our annual Technology in Action Conference (TAC) is a customer event for retailers to learn from industry leaders and Emerson experts on best practices to measure, manage, optimize and sustain operational improvements. At this year’s conference, we introduced a more interactive format. The use of panel discussions encouraged more engagement with attendees in the sessions. Mark Dunson, president of Retail Solutions, moderated the first of our three panel discussions, focusing on Big Data in Operations, which added value not only to this particular discussion, but also to conversations around the “big data” theme throughout the conference. “This year’s conference not only focused on new technologies to directly address the issues our customers are facing, but it also highlighted how to leverage the significant amount of operational data available to drive insights to action,” Mark said. Emerson customer, Eric Johnson, director of construction for Brookshire Brothers, has attended TAC for the past five years. Eric values the knowledge he has gained throughout the years from the TAC sessions, as well as the network of connections he has gained from being a part of this event. See Eric and Mark’s reactions to the conference in this video. We were pleased with the feedback received from TAC attendees about this year’s conference, and we will continue to explore ways to improve the content for our customers. We are already looking forward to the 2014 Technology in Action Conference. For more information on TAC, visit www.emersontac.org. What topics would you like to see at the 2014 Technology in Action Conference?